Since the day I bought those fresh cranberries from Tesco, I have been itching to bake this cake - Cranberrry Upside Down Cake from Dorie's book " Baking: From My Home To Yours " and last Saturday I had the opportunity to bake this wonderful cake for my Piggy Cuz. This cake is rich and moist with cranberries and nuts ....a cake to die for and I told Piggy Cuz this is truly a seasonal cake and I am going to bake another one for her birthday comes January 2012 :)))) I have one more packet left of these fresh cranberries in the freezer and I think this cake deserves another round of cranberries ! The next cranberry season I will stash more of these fresh cranberries so that I can have them all year round.
" Compliments 2 the chef ! Yr cranberry nutty cake's FANTABOLOUS!!! simply amazing ! We r LOVING it ! All of us indulging in it after main meal now! Yum! Thank u! " I do need compliments once in a while :p , if I am to say, nope I don't need compliments , I am lying ! It is encouraging when readers and friends leave me nice to read comments.. :) I am not hinting here :p , seriously it makes my day when I receive smses like this from people whom I gave them my bakes :p I love feed backs good or bad. This recipe is taken from Dorie's Baking From My Home To Yours and this is the first cake I baked from the book . Love this book to bits and I shall be baking more from her book. This recipe is slightly different from the rest of upside down cakes. Instead of sprinkling sugar at the base or applying a caramel base, this recipe involved cooking the butter and sugar together and this butter sugar caramel gave the cake a nice fragrant...seriously, this cake is to die for ! You can replace fresh cranberries with other fresh berries that you can find that is in season . Pretty cake with tons of fresh cranberries. Merry Christmas to you and family. 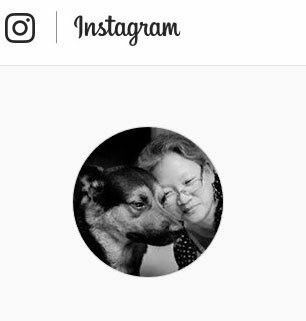 Oooh... 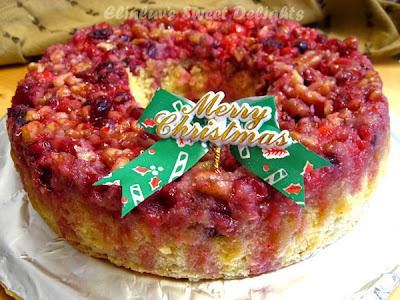 I love cranberries, your cake looks so fabulous and festive. Hope I can still find fresh cranberries in the market. Bookmarked immediately, I still have a bag of cranberry in the freezer. Thanks for sharing. Lovely cake, i can make use of my frozen cranberries now to make this. hi Elin, i really appreciate you for posting Dorie's recipe since i dont hv her bk. Do you think the cake will taste as good if i dont glaze it? 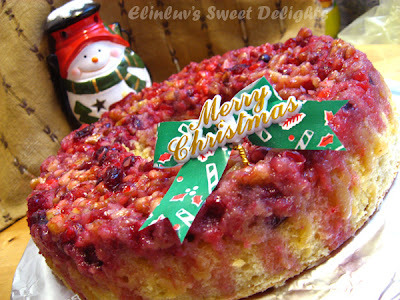 if i dont hv the red currant jelly to glaze, what kind i jam can u suggest to use for glazing? 1. may i know why put the cake pan on a baking sheet? can i omit the baking sheet if it serves no purpose? 2. must i greased the cake pan first? 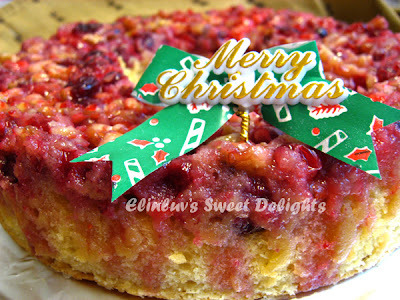 i hope there is no typo error in this recipe cos i hope to bake this for my grandma for Christmas. Thank you once again for my Christmas present! 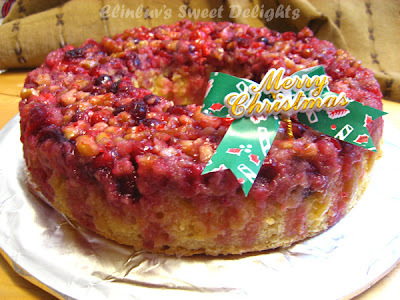 The cranberry upside-down cake was Absolutely Delicious! We finished the entire cake in the blink of an eye and I know everyone really wanted more! Thanks again and wishing you and your family - Merry Christmas and a Happy New Year! Cheers! Oink oink! Sem...yesss...straight from the freezer to the baking pan. Do not thaw the cranberries. Wow, I've never seen a cranberry upside down cake before. This is fantastic! and so festive and colorful! 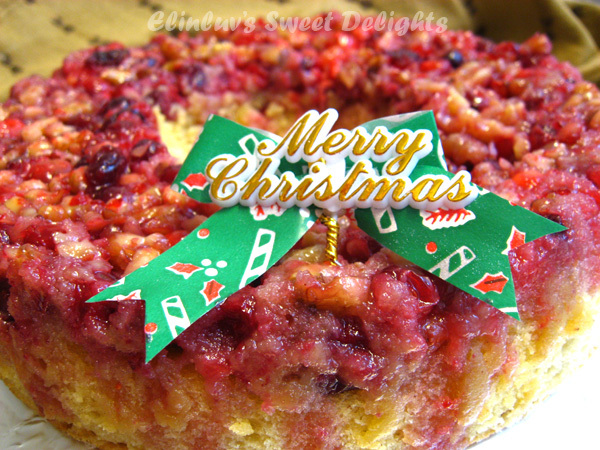 I think I'll go buy myself an extra pack of cranberries to freeze just so I can make this after all the holiday hoohah is over. Oooo.... this was the one you told me about. Absolutely stunning. Why la, why didn't u submit this to Swee San. 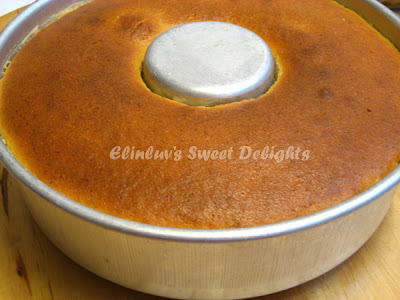 BTW, I love ur pan... now I want to go find this pan the next time I go to Ipoh's baking supply stores. Ping...yea you should try this...my cousin and Piggy Joanna sing praises of this cake :) but seriously it is darn good. You will love it for sure ! Wendy....yesss,this is the cake I was telling you and Lena. Delicious !!! haha forgotten about this recipe coz I was excited with the bowtie cookies . I just want to support Swee San not really to win. I won adi last year so give other people a chance lo :) I challenge you to try eating cranberries next season...it is nice and you will love it :) Okay..promise ? Shirley :) yea it is ! Wow that cranberry cake looks so moist and good! Yum! Will try it next time when i find fresh cranberries! Merry Christmas and happy new year to you and your family Elin!! This sounds yummy. I made a very similar upside down cake with cranberries but also with pears - which was really good. 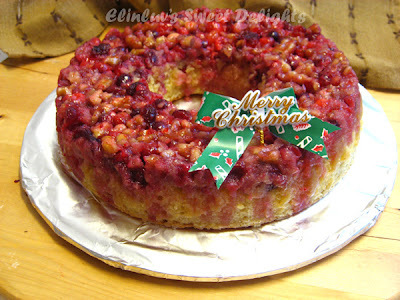 I like that it is different from traditional Christmas cake but still seasonal and a bit special! Hi, may I know whether the cranberries taste sour n tart? I have some frozen ones in my freezer n still hesitating whether to use them in baking cos when I taste them, they taste sour n tart. Is it mine tt taste like tt or all cranberries are like tt? Thanks for advise. Hi Anon....slightly sourish and tart if you eat it fresh but people seldom eat them as it is, but since there is a layer of caramel at the bottom of the pan, the sugar sort of make it lesser sour and tart. Great taste once it is cooked. Cranberries cannot be eaten fresh actually unless you want to make it into a juice drink. Cook with sugar to make cranberries jam and compote. Hope this helps.